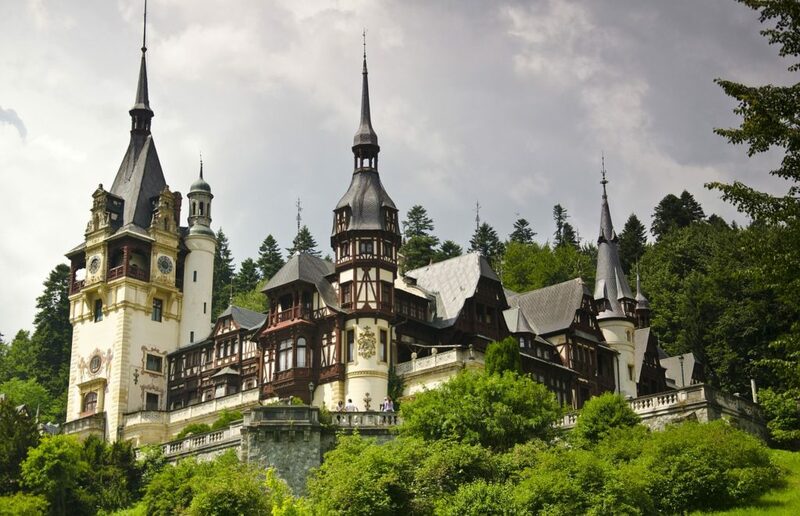 Romania is best known for the legend of Dracula, but this charming southeastern European country has so much more to offer. While the country’s Transylvania region is famous for its vampire folklore, there’s a lot to see and explore, with bustling cities and quaint little towns that can satisfy any traveler’s thirst for art and beauty. From medieval castles to historic cities to lush greens, Romania should definitely be included in your Europe bucket list. Here’s a complete travel guide to Romania for first-time and returning visitors alike. Traveling to Romania is easy, no matter where you’re from. There are airlines offerings low-cost flights to Romania from around 70 locations in Europe, and travel time can range from 1 and a half hours to 3 hours, depending on your starting point. It’s also possible to reach Romania by train, with trains coming from Budapest, Sofia, Vienna, Belgrade, and Thessaloniki. Though travel time may be longer, it’s still a good option if you’re opting for a more scenic route. Unlike other European countries, the public transportation system is not as developed, which can make getting around the country a lot more challenging. There are train stations in most cities and villages, but trains can be unreliable at times. Traveling by car can also be time-consuming as there are a lot of one-way streets and narrow passages, and national roads can also pose as a challenge to non-local drivers. The upside? Public transportation is cheap, and the travel time may be longer than what’s expected but you’ll be treated with scenic views along the way. Entering Romania can be a breeze for some. For tourists from European Union member countries, Romania doesn’t require a visa upon entry. They don’t even need a passport. They just need to present a valid national identity card and they are already allowed entry to the country. On the other hand, passport holders from certain countries, such as Canada, Australia, and the United States, will be given a visa upon arrival. The Foreign Affairs Ministry has a list of countries that are required to present a pre-approved visa letter before entering Romania. These are usually countries from Asia, Middle East, or Africa. It’s best to check this list before traveling to the country so you won’t be surprised at the immigration if you won’t be allowed entry. The best time to travel to Romania is during spring or early summer (March to early June). This period offers the ideal weather to sightsee the wildflowers that bloom in the country during this time. Romania has four seasons, but having a temperate-continental climate, winters can be bone-chilling cold while summers can be very hot and dry. Thus, traveling during spring offers a chilly weather perfect for exploring the countryside and walking along the cobbled streets of its old towns. Late summer to early fall (September to October) is also a good time to visit Romania. This is the perfect time to visit Romania’s countryside, as the colors gold, brown, and red start to cover the hills and mountains. Romania wouldn’t run out of quaint towns and cities for those looking for a cultural trip. It’s rich with idyllic cities that can be explored by foot and towns filled with cobblestone streets, perfect for those looking for a trip down history. 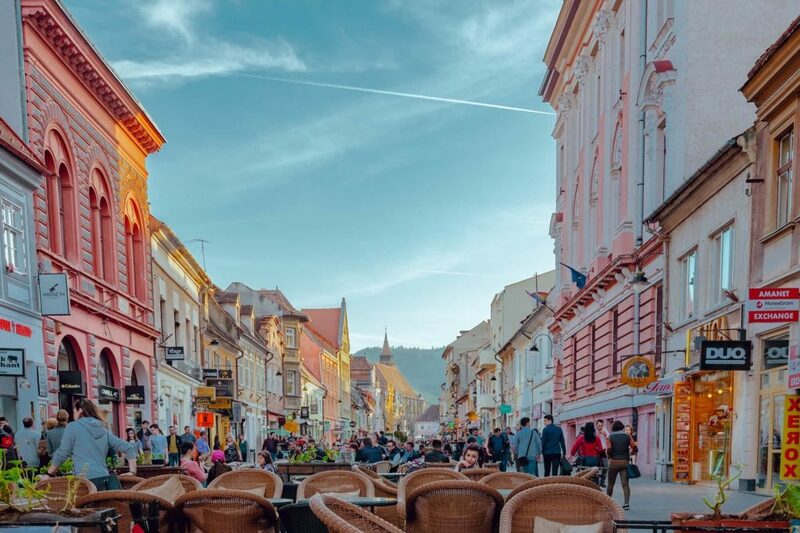 Brasov – If the Dracula legend is the one that entices you to visit Romania, you cannot miss this charming little town in the Transylvania region. It’s filled with architectural houses and buildings straight of a fairytale. From Brasov, you also only need to hop on a 45-minute bus ride to visit the Bran Castle, or also known as Dracula’s Castle. Sibiu – This Gothic little city was once elected as Europe’s cultural capital, and for a good reason. From natural parks to quaint villages, Sibiu is another city in the Transylvania region that offers surprises in pretty much every corner. Sibiu is particularly charming during the winter holidays due to the Christmas Market that takes place every year. Timisoara – If university towns is your thing, then Timisoara is for you. Its neighborhoods are peppered with academic institutions in between lovely cafes and restaurants. A day is enough to explore this laidback town, but a quick weekend trip is more ideal for this town filled with stunning architecture. Bucharest – Being Romania’s capital, it’s only likely for Bucharest to be part of your itinerary. Here you can visit the Palace of the Parliament, which is the second largest administrative building in the world, only second to the Pentagon. The city is also filled with museums, including the National Museum of Contemporary Art and Romania Peasant Museum. 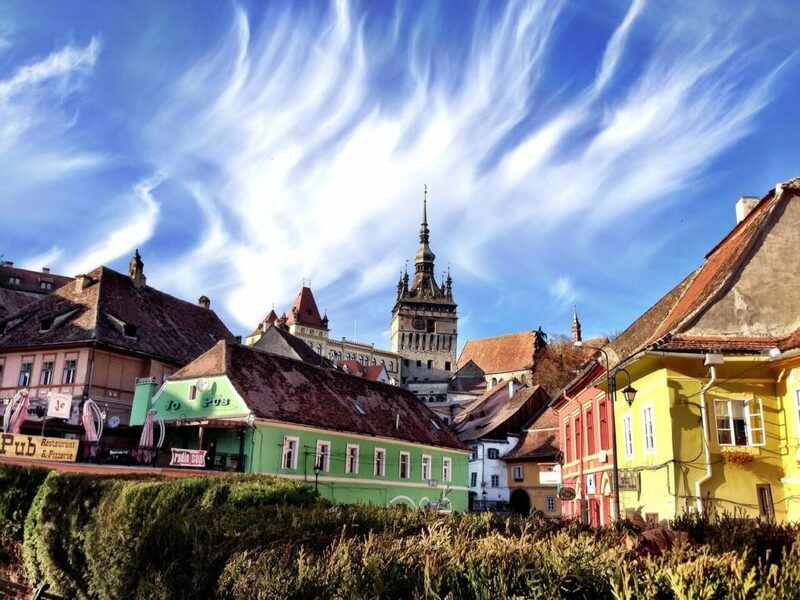 Sighisoara – Sighisoara is a small fortified city in the Transylvania region, and with its thousand-year history, it’s no wonder the entire town is a UNESCO World Heritage Site. To add more gothic charm to the place, you can also visit the birthplace of Vlad the Impaler, the man who inspired the legend of Dracula. Mici – These grilled minced meat rolls are made from a mix of pork, lamb, beef, and a whole lot of spices. While Romania isn’t big on street food, the mici is a staple in traditional outdoor markets. Lamb borsch – This traditional beet root soup is usually eaten during Easter, and not really served all year-round due to the availability of the lamb meat. Sometimes, the lamb can also be substituted with pork, beef, or chicken. Ciorba de Burta – The beef tripe soup is a common dish in the Balkan region, and Romania’s version of it includes beef tripe, sour cream, garlic, and vinegar. The combination may sound weird at first, but it offers a unique treat to the palate. Sarmale – For some, this is the representative Romanian dish. 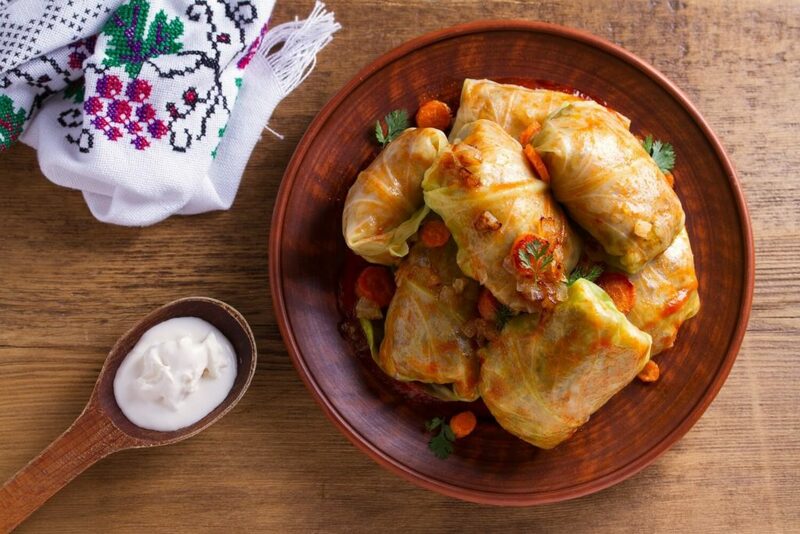 These cabbage rolls are stuffed cabbage rolls filled with minced meat, rice, and spices. The cabbage rolls are boiled for hours in a sauce consisting of sauerkraut juice, tomato juice, and water. Beef Salad – Don’t be fooled by the name. This salad is actually made of chicken meat mixed with peas, pickles, and mayonnaise. Plescoi sausages – Romania’s take on sausages features mutton generously spiced with garlic and chili peppers. Varza à la Cluj – This specialty from the Transylvania region puts a spin to cabbages. It’s a mix of minced meat, rice, sauerkraut (fermented raw cabbage), and other spices. It’s then baked in sour cream for two hours. Balmos – It’s a cheesy dish made with sour cream boiled with butter, salt, corn flour, and lots of fermented cheese. Yogurt can be added in as well. It’s best eaten with meat or fresh salad. One thing’s for sure, Romanian food brings warmth and reminds you of home. While most of the prices in Romania are also displayed in Euros, the currency is not an accepted form of payment in the country. Lei (RON) is the currency of Romania, and its plastic and indestructible notes can be found in 1, 5, 10, 100, 200 and 500 bills. Romania is not an expensive place to visit. Aside from the cost of accommodation, you can get around with just a budget of 30-35 Euros (around 150 Lei) per day, and still get a decent meal. Prices in some cities such as Bucharest, Sibiu, Sighisoara, and Cluj-Napoca are more expensive than others, but costs are lower in other cities such as Brasov and Timisoara. A lot of the attractions such as historic churches are old fortresses have no entrance fee. For monasteries and museums, the entrance fee is almost insignificant, with some only asking for 3 Lei to 6 Lei. If you have a steep budget, traveling to Romania during off-peak seasons is advised. Use the ridesharing service BlaBlaCar to get around. It can be cheaper than taxis and you’ll befriend locals, too. Save on accommodations by staying at Balkan Backpacker Hostels, an association of hostels promoting affordable and easy backpacking in Balkan countries. Join free walking tours. A quick Google search will lead you to websites offering free walking tours, such as the Bucharest Walkabout Free Tour and the Brasov Walkabout Free Tours. You’ll need to book in advanced, but it’ll be worth it. This might be the best thing you’ll do on your visit as you don’t just befriend locals, but you’ll also learn about local culture and history from those who live it. Free guided tours take about an hour or two. When dining out, opt to do it during lunch time and look for restaurants with a daily menu or Meniul Zilei. It’s a set meal and relatively cheaper. Take the train when visiting one city to another. It can be pretty slow but it’s the cheapest option. Romania may just be a stop in your Eurotrip, but it can leave you feeling like you’ll need to stay longer to explore more fortresses and to uncover more secrets of castles and little villages. This Romania travel guide covers the basics, but no travel guide can fully capture the country’s rich culture and history.